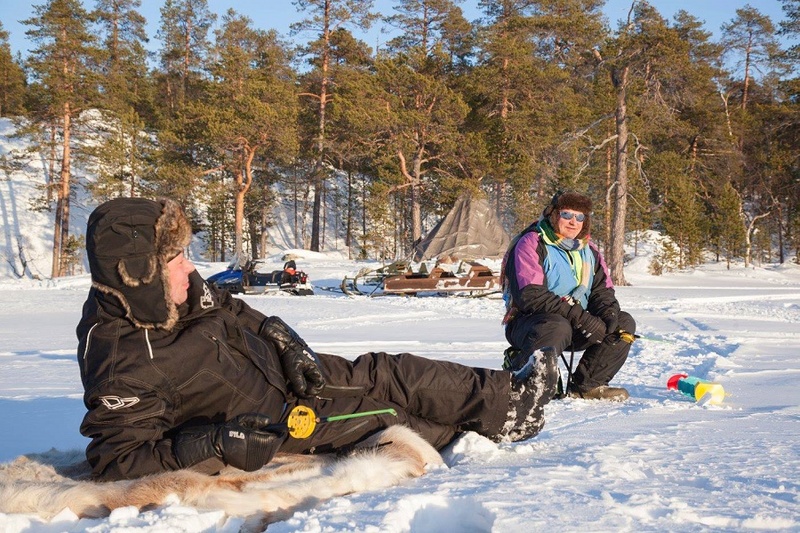 Experience the art of Arctic ice fishing on this scenic 5-hour trip from Saariselkä. 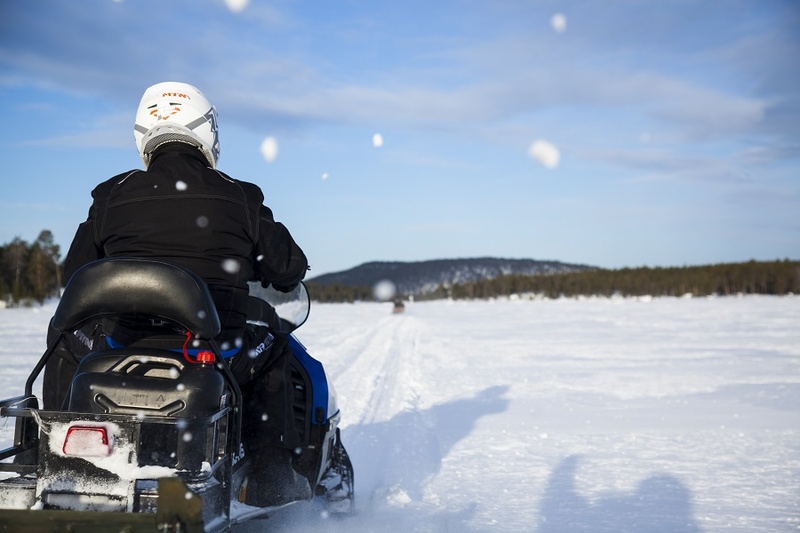 With a professional local fisherman as your guide, travel into the snowy countryside around Saariselkä and enjoy a snowmobile-pulled sleigh ride to a beautiful frozen lake. 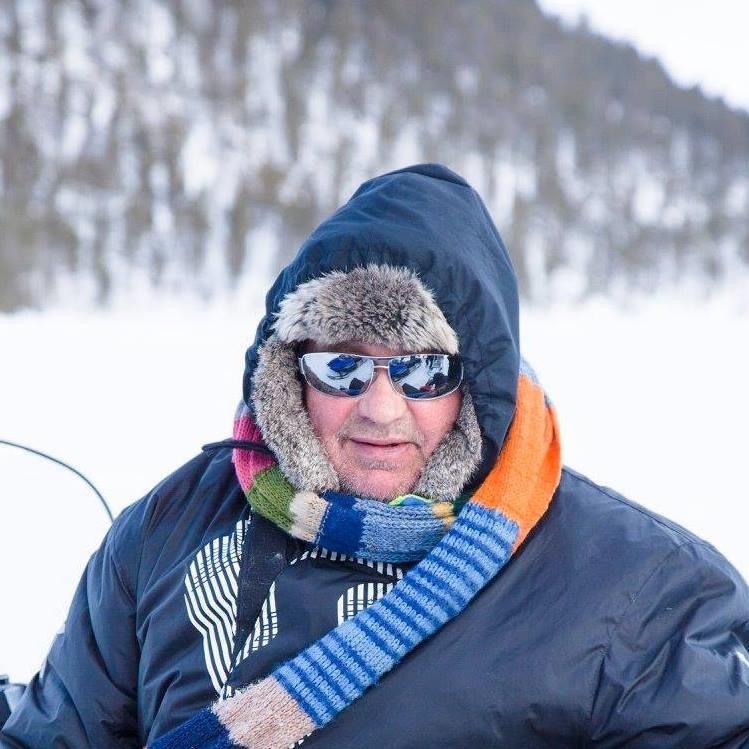 Receive your own fishing rod, get instructions and try your hand at ice fishing in true Lappish style. Admire the scenery as you wait for a bite and with luck, catch a fish or two. Conclude with a tasty lunch and drinks by the campfire before your return by sleigh ride. You will be picket up from Ivalo / Saariselkä or Kakslauttanen. We will drive by minibuss to Safari Office which is located near Ivalo center. There you will get thermal outfits and shoes. Drive from Ivalo approximately 9 miles ( 15 kilometers) to a small village called Koppelo. Snowmobiles and sledges are waiting for you and the journey starts to a secret fishing place. You will travel in the comfort of a sleigh pulled by a snowmobile. You will try your fishing luck on the lake, everyone gets his or her own ice fishing rod to fish. You will use either a worm or a maggot to catch the fish. Enjoy a lunch and hot drinks by the open fire. You can also just relax by the campfire and enjoy the beautiful surroundings. This is a great trip even if you are not interested in fishing.